Besides making bomber planes on Long Island, New Yorkers jumped on the bandwagon when America asked its citizens to subsidize the nation's food supply by planing their own victory gardens. New York City must of looked like quite a different place then. The Rockefeller Center Plaza was in on the action as well, replacing its trees and fancy shrubbery with corn stalks placed where ever they would fit. 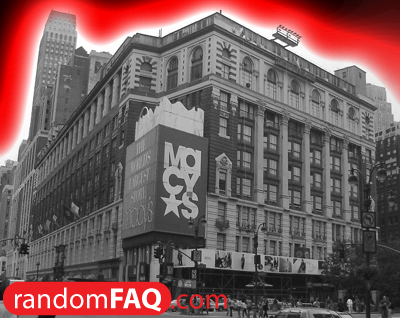 Macy's Herald Square also changed its business practices during the crucial time. A sign along the street read, "Macy's Victory Barnyard" and lining the sidewalk were rows of chicken cages. Macy's was distributing the rationed chickens to New Yorkers.